Cleveland Power and Performance is proud to present this rebuilt 2008 Jeep Wrangler Rubicon. This Wrangler belonged to the owner of the company who has enjoyed driving it over the past 6 years and over 50,000 miles! This Jeep is loaded with the interior amenities as well as the off road ready features that you would expect from the Rubicon line. This Wrangler has only 77K miles on it! 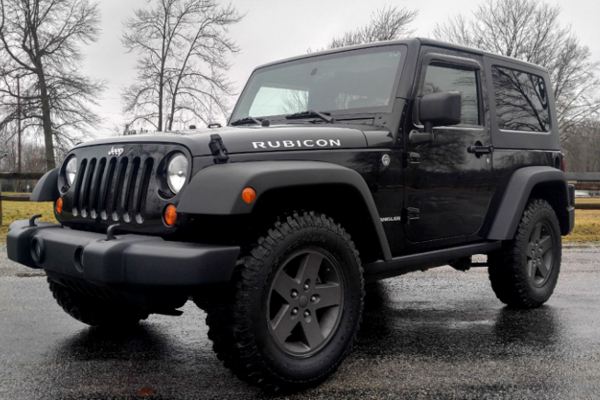 This is your chance to save thousands on a very CLEAN Rubicon Wrangler! This four wheel drive 2008 Wrangler features the 3.8L engine which produces 202HP and 237ft-lbs of torque. Mated to the 3.8L putting the power to the wheels, is the stout NSG370 6 speed manual transmission and NV241 HD Rock-Trac transfer case. This Jeep also features a Tru-Lock Dana 44 rear axle with a 4.10 ratio. This Jeep features a factory navigation unit with internal hard drive for storing your favorite music and an excellent audio system with infinity subwoofer to play all those tunes through. The Jeep also features power locks/windows, electronic sway bar disconnect and more. This Wrangler is also equipped with a hard top roof that can be removed on those warm summer days which virtually transforms this jeep into a completely different vehicle. This Wrangler has had a number of parts replaced within the last 1,000 miles including new shocks, new thermostat, new water pump, new window switches, and new rear hardtop glass seal. We also prepared this jeep for sale with a fresh oil change and by changing fluids in both of the axles, transfer case, and transmission. The coolant has also just been flushed and replaced. The tires have less than 4,000 miles on them since installed. The airbag recalls have been completed by the dealer on this Jeep as well. This Jeep is sitting on four OEM 5 spoke wheels that have been painted Gun Metal Gray, with a full size spare mounted to the tailgate. All five wheels are wrapped in 255/75/17 BFGoodrich Mud-Terrain tires. These tires only 4k miles on them so they have plenty of tread left. This Wrangler is painted Black Clearcoat in color. The paint shows some minor marks throughout from being a used vehicle, but it is in overall good condition. Please look at all of the pictures to see the condition. The rear headrests were removed from the vehicle prior to us receiving it.